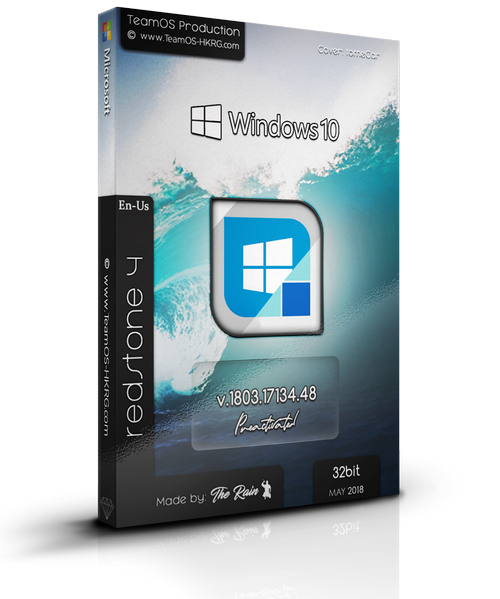 Torrent + Direct - Windows 10 Pro Rs4 V.1803.17134.48 En-us X86 May2018 Pre-activated-=team Os=- | Team OS : Your Only Destination To Custom OS !! finally find it thank you so much you are an Angel. Awesome. This is the OEM version, am I right? Thanks for the thing you've made. Appreciate! A huge thank you brother, 32bit is always good on low resource systems especially in VM's. Great release and thank you for your dedication and hard working efforts Ra1n. Long live TEAMOS! Windows 10 became worse and worse. This build (1803) is buggy as hell. I've already installed 4 versions of it from this forum and I have bugs and slow performance in all of them compared to the build 1709. Micro$hit should fix his OS before working on Redstone 5. I've came back to build 1709 and all the problems are gone.